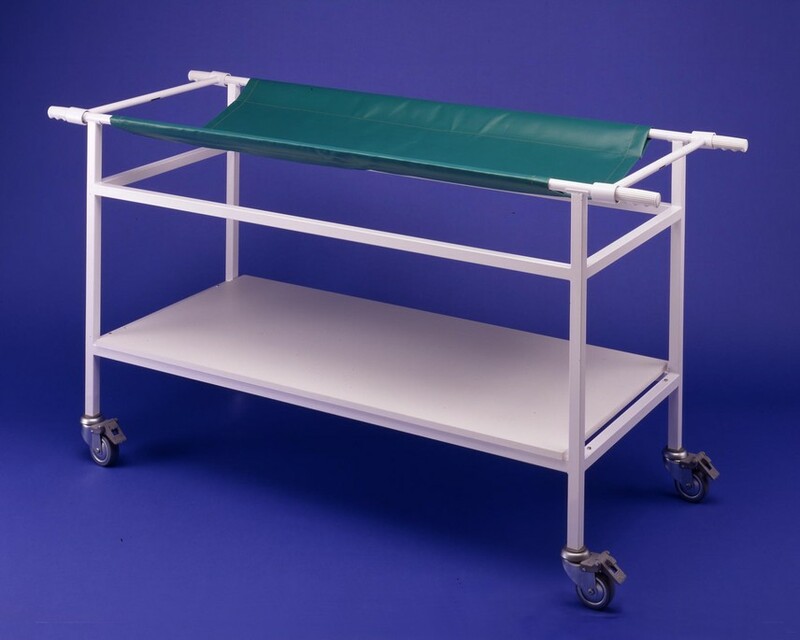 Trolleys Strongly constructed and fitted with safety glass shelves. All our theatre trolleys can be built to any size, by special order. Illustrated above are our two standard size Theatre Trolleys. Strongly constructed mild steel framework, with a phosphate coating to inhibit corrosion. Two toughened safety glass shelves. Optional stainless steel shelves available. Four, 50mm (2”) diameter swivel castors with grey, non marking, rubber tyres. Optional 80mm (3.2”) diameter swivel locking castors available. Height: 840mm (33” to top shelf. Any size available to special order. 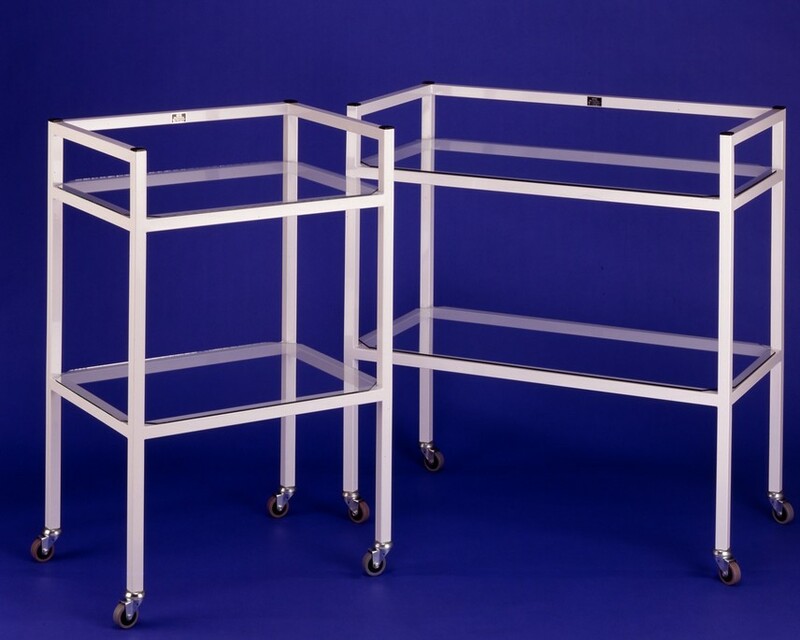 All Theatre Trolleys can be manufactured with drawers. Please refer to the ‘Ancillary Equipment‘ section of this website. 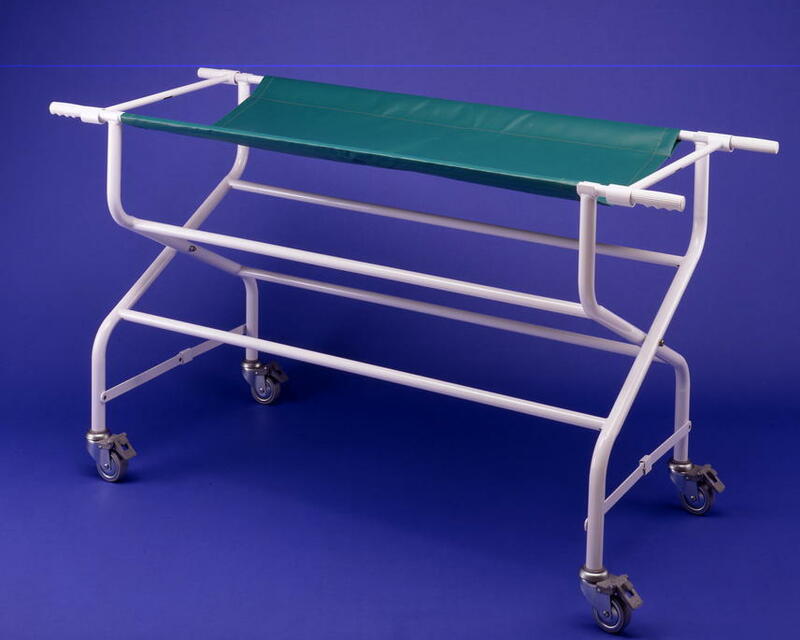 All our stretcher trolleys can be built to any size, by special order. Available with a stainless steel frame. Strongly constructed mild steel frame: tubular on folding version, square box section on rigid. Both are treated with a phosphate coating to inhibit corrosion. White epoxy polyester paint finish. Optional stainless steel frame versions available. Four, 80mm diameter swivel locking castors. Removable stretcher made from strong green PVC. Two mild steel poles with handle grips at each end. Two traverse bars included to prevent the stretcher from collapsing around the patient when removed from the trolley. Storage shelf on rigid version only. 1600mm (63”) with stretcher in place. 310mm (12”) folded width, folding version only.